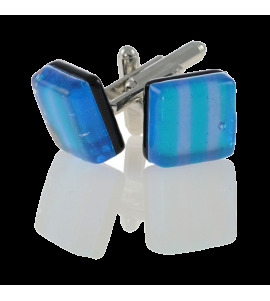 The glass cufflinks for men, although of small objects, contribute in a decisive way to complete the image and appearance of a person. 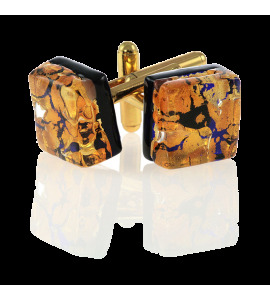 Our Murano glass cufflinks are ideal to use in combination with classic shirts. 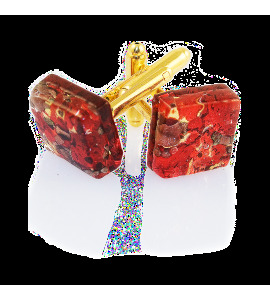 You can find them with gold or silver metal bases finished in various colors like red, cobalt blue, black & white, amber, azure or green. 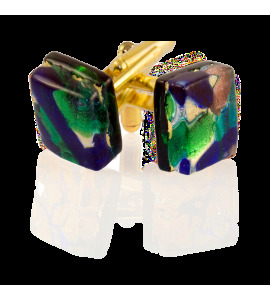 The glass finish can also have precious inserts like gold or silver leaf submerged in the crystal glass. 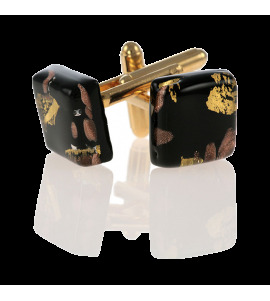 On request we can customize cufflinks with an engraving or e can mark the cuffs in enamel with the coats of arms of various clubs and sports associations. This makes them ideal for a corporate gift or a prestigious ceremony, meetings with members of golf clubs as well as Sports Executives. 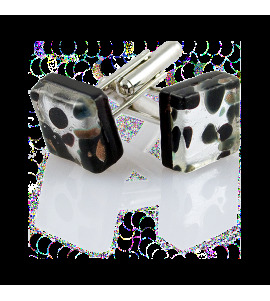 Cufflinks are some of the most tasteful gifts for him and they are a perfect choice if you want to offer something special to your best man at your wedding.